Over the years we have received a great number of questions asked about which is more important, Local SEO or National SEO. Most often the answer to this question is a direct reflection of the business the person is in that is asking the question. 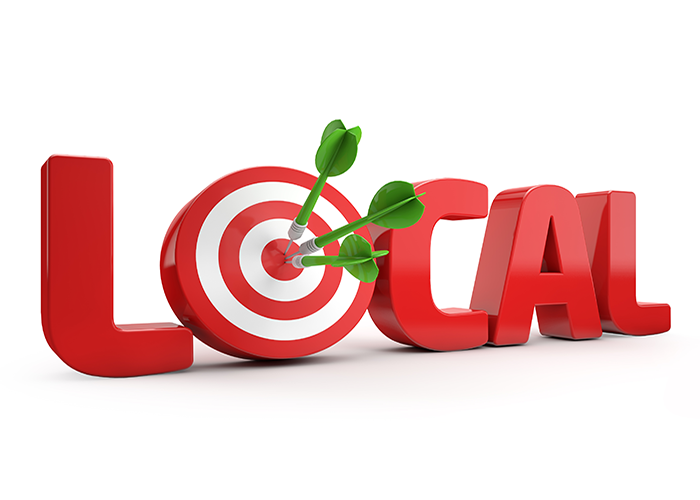 Most often the business gains the majority of its clients from the local area and so local would be the most effective use of their time and efforts. This is not always the case and in rare instances a case can be made for focusing on and attracting a national audience. That being said most service based businesses would only ever want local traffic. Even when their brand is a national company, they should be focusing in on local markets they play in. Many reasons exist to support this thinking. A few would be that it will always be simpler and more effective to target a local area then the entire country. Another reason behind this approach would be that most people who are looking for a service or product look for it in their geographical area. Meaning if you are looking for a new Granite Kitchen Countertop the average consumer would search kitchen counter AZ or insert your geographic location. Another example of this would be a consumer looking for new tires for their car. Again most people will look for a company within a 5-mile radius of their location for a provider of whatever service or product that they are looking for. Therefore, it would be important to gain positions on the first age for any relevant search term that would include the local information as this is the natural behavior of your customers and how they are going to find your products and or services. 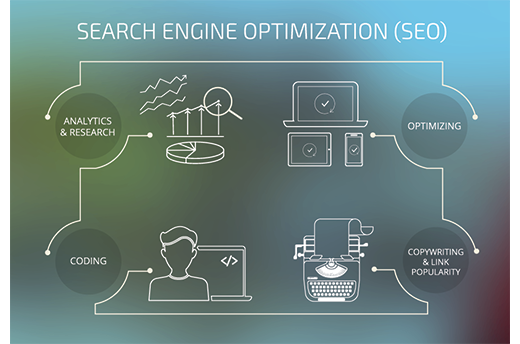 This is again one approach to Search Engine Optimization and many aspects should be considered before finalizing any strategic SEO plan for your organization. 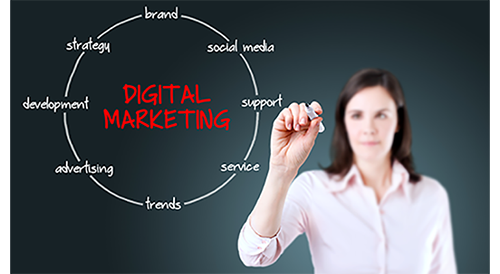 Consult your favorite Digital Marketing expert for what your best and most effective approach should be. If you don’t know an SEO expert, we at Black Box Consulting are always here to help and will provide free evaluations of your site and your plan. Good luck and have a great week! Hello again and welcome back to our Ten Things to know about Search Engine Optimization Phoenix Last week we spoke about the importance of on-page and off-page optimization and how these are both important and effective. This week in our 5th and final installment of Ten Things to know about Search Engine Optimization Phoenix we will be focusing on the importance of using Google Analytics and Webmaster tools and having an effective Social Media strategy. What do these have to do with Search Engine Optimization you ask? Well let’s answer the question now. Utilizing analytic data is vitally important. Understanding traffic patterns and where your unique visitors are coming from are made possible with the use of Google Analytics. Though these days some of the usefulness of these tools have been limited to due to Google no longer sharing some of the key information any longer, it can still be helpful identifying issues with specific pages or opportunities for improvement. Webmaster Tools can be utilized in some of the same fashion but can show much more valuable data such as the terms used to find your site by potential customers. However, keep in mind that sometimes the data shown in these tools have been known to be less than accurate at times with many factors at play. This in no way means that they should not be used, but that they should be a tool and not viewed as gospel truth or statements of facts. Social Media is a very hot topic these days and everyone seems to have an opinion of what the correct method of handling social media is and should be. This is what we say; Social Media is a very effective brand management tool. It is a fantastic way to get in front of people that you might not normally have an opportunity to reach with your products or services. But from and SEO (Search Engine Optimization) standpoint there is one very important use for it, gaining backlinks. These are natural backlinks that help to show the search engines that you are working on growing your audience. Are they as heavily weighted as some insider industry publication back links are? No. But they have merit and value and for small to medium businesses are obtainable. Utilize your social networks that you play in to talk about what you or your company is doing. Link back to your website as the source of information. This way they see your site as the expert source for this information. And don’t forget to boost those posts or you are wasting your time. So overall we have reviewed our top ten things for Search Engine Optimization practices are. Every company will have their own opinions as to what is most important to them for you to do. However, if these are not included somewhere in there you know that you are not going to be as successful with your Search Engine Optimization project. Welcome back for our fourth installation to our multi-part series on our Ten Things to know about Search Engine Optimization Phoenix. Last week we focused on content and keeping the content changing and fresh like our businesses. A businesses website is a living breathing representation of the companies they represent. Make them personal, professional, and enjoyable for your visitors as well as the search engines. This week we are focusing on two main keys to the success with regards to SEO practices which are On-page and Off-page optimization. 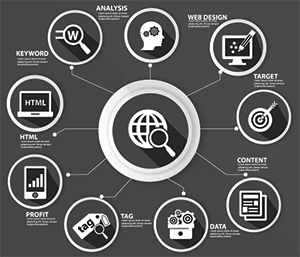 On-page Optimization consists of things like html tags, Alt tags, keywords and search terms. All of these are very important and should be completed for each and every page on the site. Many times people get fixated with the supposed most effective “one thing” of the day that will increase your overall SERP. This is a short sighted and ineffective approach to your websites effectiveness. Search Engines like Google don’t care about “one thing” they are continuously looking for the best all-around expert for whatever their customer is searching for. Taking a holistic approach to your site with long-term goals is the most effective method for a successful SEO Phoenix Strategy. Off-page optimization, which has been getting a lot of attention lately, is one of things that some people like to focus on as the “one thing”. However, it is not one you want to focus on too much. People have been known to pay for back linking services. Those of you that have done this, know all too well how detrimental this can be to your website and its overall performance. Paying for backlinks is a serious offense and one that can and will get you black listed from Google. So grow your back links carefully the old fashion way, earn them like the rest of us. This week’s lesson consists of two very important principles, 1. When it comes to updating your tags and other best practices on your site pay close attention to the details and 2. Grow your back links organically. Don’t cheat the system. I hope you all return next week for the last two focus items for our Top Ten Things to know about Search Engine Optimization Phoenix. Phoenix SEO Plan: Last week we learned about the importance of strategic SEO efforts as well as images and video. Once you have selected the proper format or foundation for the site. Developing the correct navigation strategy and design attributions. Strategizing who your target market is, and creating your images or video for the site. It is time to tackle the most important piece of the website, content. Content is king and will remain the number one way! For you to have search engines place you in front of potential customers or clients. Creating content that the search engines find compelling is vital for your Phoenix SEO efforts to be successful. Writing content allows the search engine to verify what you do. And what makes you an authority for your subject matter which should focus on subjects that targets your consumer. The key is to write content with your goals in mind and allow them to be written as naturally as possible. Utilizing keywords and terms into your writing helps to keep the flow as seamless as possible. You never Want your terms to be added after you have already written your content. This practice is common but it reads as if there was no thought put into the article. Sticking with your content focus this week, one of the most important things about content is to always be developing new content. Keep in mind that most people do not visit a site and read the content on the pages. With any strategic local, in this case Phoenix SEO, Search Engine Optimization efforts the content is for the search engines, not the visitor. The purpose of content on a website is there for one reason only! Let search engines know that you are the expert in your field and placed in front of people. Which customer/clients are looking for the expert in your industry. Regardless of whether or not you are focusing on Phoenix SEO Plan. Or Scottsdale Search Engine Optimization, it does not matter. So the two takeaways this week are as follows: content is king, and changing content. Which keeps your site alive and moving in the right direction. Becoming the experts, in the eyes of the search engines. And this will help to advance your ranking and place you in front new potential clients. As most people are learning about the benefits of the free upgrade being offered from Microsoft to move your computer from Windows 7, Windows 8, and Windows 8.1 to the new Windows 10, some are learning the hard way of a new and very real scam. This scam is an email that appears as if it is coming directly from Microsoft but it’s not. The email is being spoofed, which is a very simple process that anyone can do, that makes it look as though the email is sent from “update(at)Microsoft.com” and offers the unsuspecting victim the opportunity to receive Windows 10 for free and be moved to the front of the line. 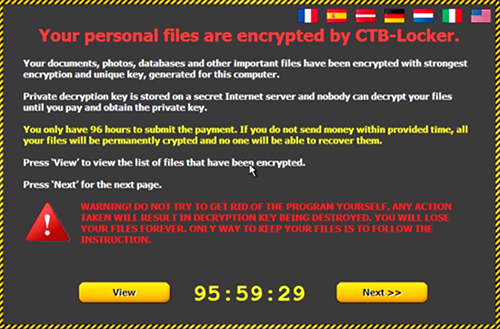 Once you see this what has happened is the software that the user just launched has secretly ran a software known as CTB-Locker, which is a form of ransomware. This software searches your computer for data and encrypts it. Your files, including all your photos, documents, and anything else it finds, are securely locked so you cannot access them unless you pay. Ransomware scams are a relatively recent form of attack and are continuing to evolve and update regularly. So the best advice one can give is to be very careful not to open any attachments via email. Even ones that look as legit as coming from Microsoft, or even someone in your contacts. It is a shame that there is another news worthy story about Windows 10 that will detract from the operating system and how good it is. Our advice to users is to have your trusted professional help you take advantage of the free upgrade if you are interested. It is a fantastic operating system and is already converting users from Widows 7, Windows 8, and Windows 8.1 in droves, with over 14 million PC’s upgraded in the first 24 hours alone.